Bank the better way! With access to Beyond Bank branches and with fee-free access to over 10,000 ATMs nationally, you are sure to find a location handy to you. 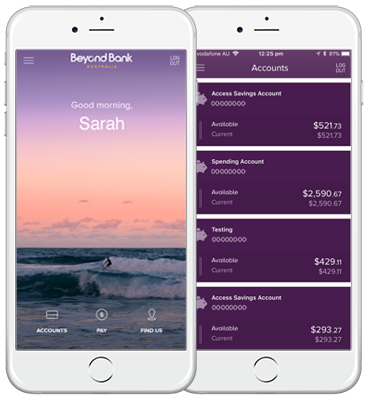 The good news is that, as a Beyond Bank customer, you can withdraw from any of the major banks’ ATMs fee-free (Commonwealth Bank, ANZ, Westpac.) To find your nearest ATM, search for the major four branded ATMs (e.g. “Commonwealth Bank ATM”) in Google Maps. Find the nearest branch in your state. An award winning bank in your pocket. View, create or schedule new payments and much more! Download via the App Store or Google Play. Getting started with the app is easy, all you need is your Internet Banking password and member number. You can reset your forgotten password by visiting Internet Banking and selecting "SMS Password Reset", or by calling us on 13 25 85.